Diplomatic Service Agency Worker's Day received the status of an official holiday after its establishment by Presidential Decree in 2007. The document stated, that this day is established in recognition of great contribution and role, that the national diplomacy played in the development of the first democratic republic in the Muslim world and establishment of independent state of Azerbaijan. This professional holiday is annually observed on July 9, since it's the anniversary of adoption of the provisional instruction on the Secretariat of the Ministry of Foreign Affairs of the Republic of Azerbaijan in 1919. Diplomatic Service Agency Worker's Day is a working holiday. 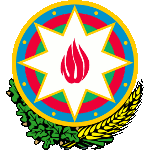 The working staff receives congratulations from their relatives, colleagues and authorities of Azerbaijan.